We’ve all heard about diversification and all the reasons why we should spread out our investments to reduce the risk of losing too much money. We keep hearing that if we don’t diversify, we might lose all our money. We hear about the people that worked for Lehman Brothers who lost everything they had, but there are just as many people who became millionaires just owning their company stock! 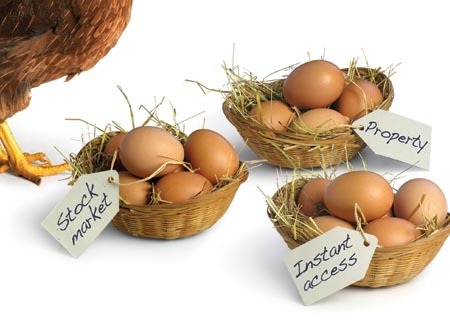 By just looking at examples, it’s not always clear that diversification is really useful! If you believe diversification is another piece of useless advice, consider this scenario. You are invested in stocks, but you actually lost money when the Dow was up more than 889 points (10%)! While everyone in the break room was talking about what relief that day at the market brought them, you were extremely quiet because you only invested in a few stocks and they all went down. Sure, there are tons of examples of people making their fortunes by buying just one stock, but it doesn’t mean that it will happen to you. Let’s think about this for a minute by thinking of the extremes. On the down side, you are risking your money on one (or a few) stocks. If the outcome is bad, you might lose almost all your money. Imagine what it will do to your finances if it happens? On the other hand, you might become really rich. Would you be much better off than you otherwise would if you just didn’t make money in the stock market? Not diversifying is almost saying that you believe it’s worth it to live on welfare for a chance to become rich. If it’s worth the gamble, go ahead and do it. As for myself, I’m just not willing to take that much of a chance. I totally agree!!! Especially in a bear market, diversification is key to not losing way too much money. Unfortunately, I learned the hard way!!! Risk control. It’s all about risk control, something even the pros underestimate. you are crazy, i will not risk myself.